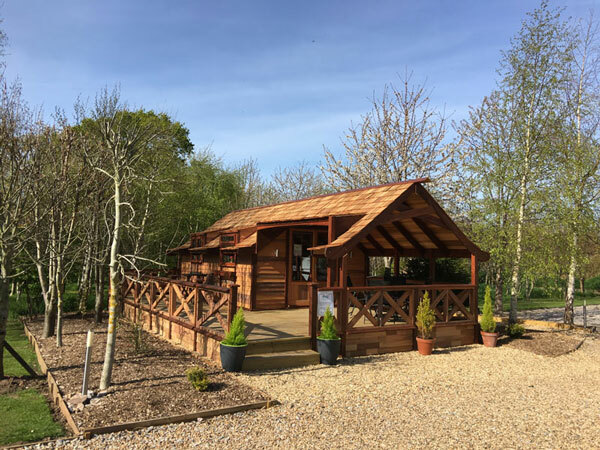 An exciting new style of accommodation in the Chew Valley, located on our multi award-winning Caravan Park, nestled into the edge of a woodland and close to local amenities. Ideally suited as a base for touring Bristol with its historic docks, Bath with its Roman Baths, Cheddar and its gorge, Wells with Market and Cathedral, as well as for walking in the Mendip Hills or fly-fishing on Chew Valley Lake. For more information or to book, email enquiries@bathchewvalley.co.uk, call reception on 01275 332 127 or Click Here to book No 1 Fairswood online on HomeAway or here to book No 2 Fairswood online at HomeAway (though it's cheaper to book direct). New For 2019 - No 2 Fairswood! 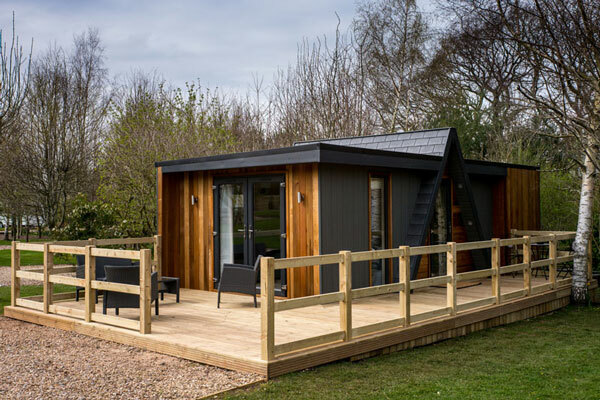 Our new contemporary lodge with a little more space & fully featured cooking facilities, situated at the edge of our small wood with a large deck to sit out on. 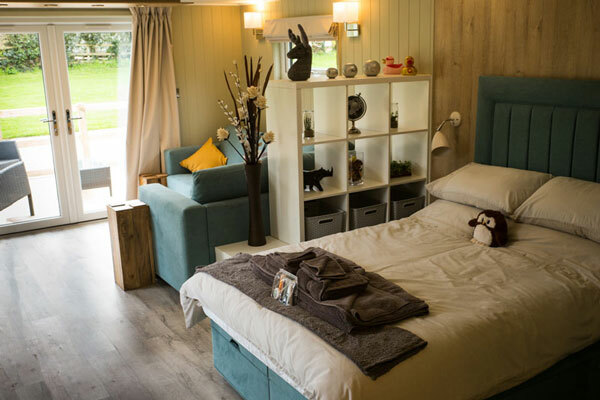 Inside there is a spacious lounge with TV, dining table & chairs and separate bedroom area with a full size double bed. 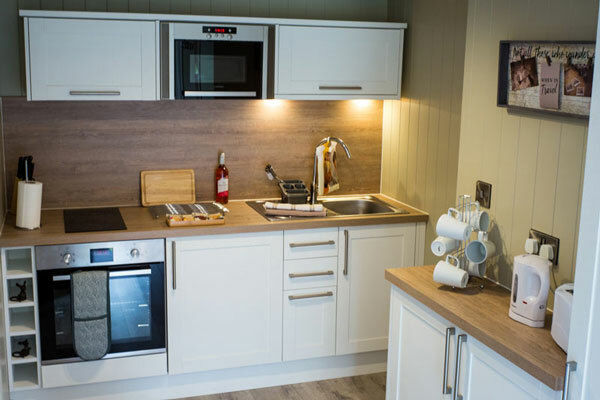 There is a fully featured kitchen with oven, dual rings, microwave, fridge, kettle & toaster. There is also a bathroom with shower, sink & loo. No 2 Fairswood is available to book from £82.50 per night, conditions apply. For more information or to book, email enquiries@bathchewvalley.co.uk, call 01275 332 127 or Click Here to book on HomeAway (though it's cheaper to book direct). Or take a look at No 1 Fairswood! No 1 Fairswood was new for 2016 and is clad in cedar, located at the edge of a small wood with a large deck to sit out on. Inside there is a lounge with TV, dining table & chairs and small kitchenette with fridge, microwave, kettle, toaster & single electric ring. There is a bathroom with shower, sink & loo & a full sized double bed. No 1 Fairswood is available to book from £72.50 per night, conditions apply.